For those couples with a pair of small children, a yen for short vacations and a loathing of parking challenges, BMW brings back its agile X1 compact luxury crossover for 2015. This downsized Sports Activity Vehicle, as Beemer likes to put it, offers seating for 5 (as long as rear-seat denizens are on the compact side) and a somewhat cramped 47.7 cubic feet of cargo-toting capability with the rear seats folded. Again, three trims will be available in the X1 lineup this year, including the base sDrive28i, the midlevel xDrive28i and the flagship xDrive 35i. The sDrive comes in rear-wheel-drive (RWD) configuration only, while both xDrive trims feature, as is traditional, standard intelligent all-wheel drive (AWD). Although BMW's considering a total redesign of the X1 lineup for the 2016 model year, the German automaker nevertheless gives its ’15 versions a few added tweaks over last year’s iterations. New air intake vents now adorn the front apron, while daytime running lights now complement the standard front fog/driving lights. Additionally, 28i exteriors are slated to get new V-spoke 17-inch alloys, and all trims can now be delivered with an introductory Sparkling Brown paint job. Inside, meanwhile, soft-touch instrument cluster surfaces are new, while Beemer’s Connected Drive Services get a few updates for extended online access with smartphone and Android integration, as well as an Eco Pro driving efficiency display. Additionally, interior accents are now offered in some added color schemes, with the rear liftgate now framed in stainless steel. Of course, both 28i variations will feature stuff like a standard roof rack, leatherette upholstery, heated outside reverse-tilt mirrors and full power accessories for 2015, along with cruise control, telescoping tilt-wheel steering and Bluetooth-interfaced BMW Assist destination downloads and emergency communications. Dual-zone climate control also remains standard in all X1 trims, as does a 180-watt audio system with 8 speakers, a single-CD player and a USB port. The 2015 X1 xDrive35i, meantime, again rolls on standard 18-inch alloy wheels while toting a power sunroof and upgraded interior accents, including genuine wood inserts. Of course this top-shelf trim also remains equipped with standard power-adjustable front seats and memory for driver's settings. Options-wise, the 28i twain remain eligible for many of the added items that come standard in the xDrive35i, while many available features are again lumped into costly options packages. Getting you the biggest bang for the buck is the Ultimate Package, with newly upgraded hard-drive-based navigation, an 8.8-inch monitor that now boasts the new-for-2015 Eco Pro driving efficiency display, as well as the returning rear-view mirror and a remote garage door opener. Oh, and front and rear parking sensors, upgraded interior and exterior bling, and an auto-dimming rear-view mirror are also included in this pricy package. If that’s not enough, a Cold Weather Package throws in a heated steering wheel and heated front seats, while the available M Sport Line Package tosses in Beemer’s well-wrought Performance Control, upgraded and upsized wheels, sport front seats and an aerodynamics kit. Returning to power the sDrive28i and the xDrive28i is the tried-and-true 2.0-liter turbocharged inline 4-cylinder (I4) engine that again mates with an 8-speed shiftable automatic transmission for 240 hp and 260 lb-ft of torque. Expect variable valve timing (VVT) to again give the X1 sDrive28i 24 mpg city/34 highway, while the AWD xDrive 28i should return boasting 22/33. The up-powered xDrive 35i, meantime, once more packs the 300-hp 3.0-liter turbocharged V6 powerplant, with the standard 6-speed shiftable automatic transmission again allowing 300 lb-ft of torque. Again, look for this potent blown 6 to return 18/27 for your gas-pump debit charges. By the way, both engines are slated to once more sport auto engine start-stop technology, and again each automatic transmission should boast standard Driving Dynamics Control featuring mood-fitting Eco, Pro, Sport and Comfort settings. Finally, not to be outdone safety-wise by lesser road warriors, all X1 trims return with standard 4-wheel antilock brakes (ABS), traction and stability control, front side-mounted airbags and head airbags all around, and active front headrests. Additionally, besides those new-for-2015 daytime running lights and the returning front fog/driving lights, there’s also a standard post-collision safety system, turn-signal-integrated mirrors and a remote antitheft alarm. What's your take on the 2015 BMW X1? Number_Six I don't believe the 35i has auto stop/start. Mark "I don't believe the 35i has auto stop/start. " It does. cyclocross My wife's 2015 xDrive 35i does not have a enable/disable button for the start/stop feature. The engine is always running at a stop. It has never stopped. We can't get a straight answer from the dealer. We have to assume that the X1 35i does not have the start/stop feature. cyclocross the BMW Na tech guru just confirmed that the X1 35i does not have auto start/stop. And yes, the engine is an in-line 6. TheHorror Tallberg doesn't actually drive these cars, but rather just regurgitates information from press releases. It's no small wonder that he missed something like engine configuration. Users ranked 2015 BMW X1 against other cars which they drove/owned. Each ranking was based on 9 categories. Here is the summary of top rankings. 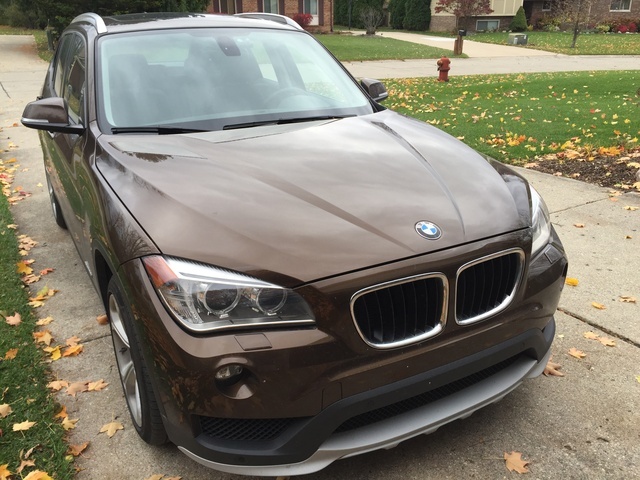 Have you driven a 2015 BMW X1? Does AWD Work In Reverse? 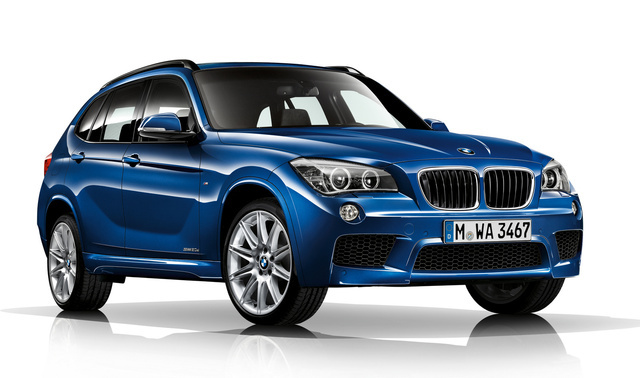 How To Turn On The Daytime Running Lights For Bmw X1 2015? How to turn on the daytime running lights (daylight) for bmw x1 2015?